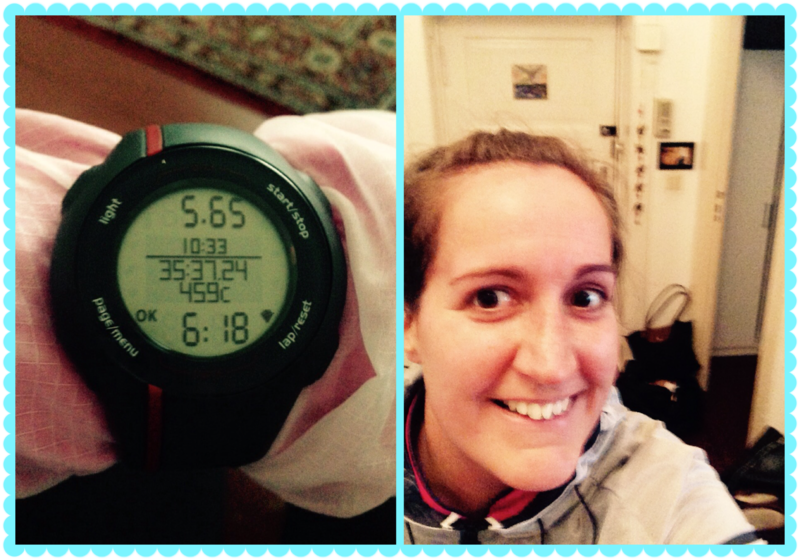 Week total: 46km… and I’m feeeeeeeling good! 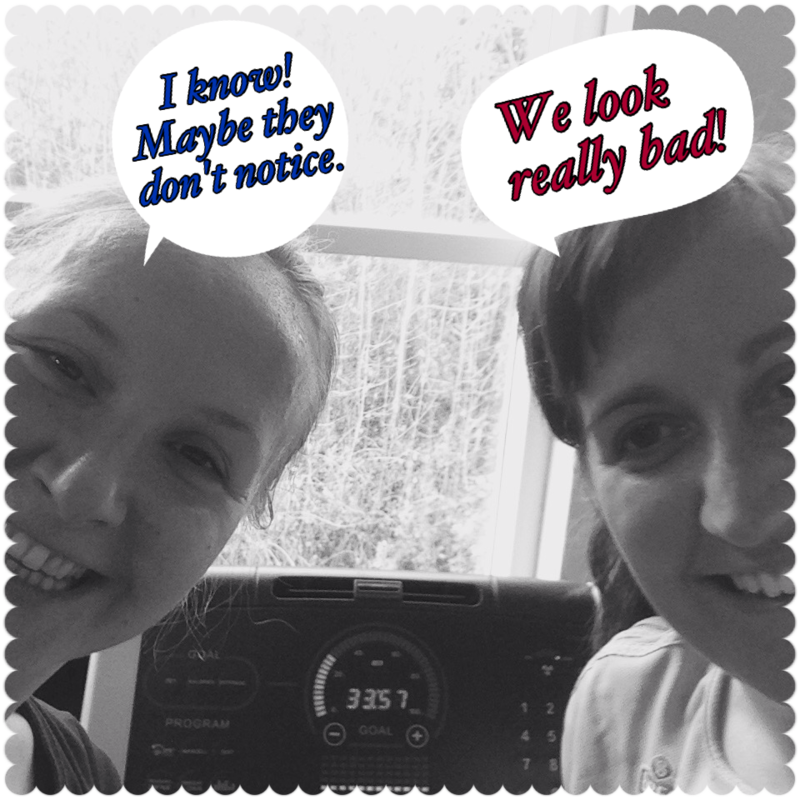 Day 1 – Monday 1.12. First run today! I have never run in -3C before so another first for me. We met with Ela and headed to Tempelhofer Freiheit (an old airport) which is across the road from where Matthes and I live. The wind was blowing against us so hard that it felt like we were not actually moving at all, my feet were cold and we were both thinking that this AdventRun was a VERY stupid idea. 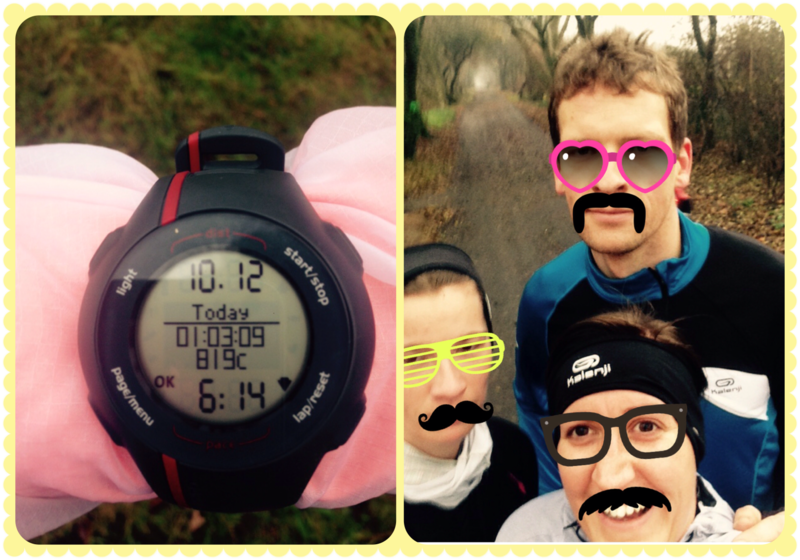 But then… we caught some tail wind and we RAAAAAN and it felt amazing! But I’m really not sure I can do another 24 runs like this. We then went shopping (hurray I have all my Christmas presents) and I bought myself some very cool winter running thighs and a running jumper – a girl has to reward herself. Bring it on tomorrow! Day 2 – Tuesday 2.12. Today Matthes is running with me – and I promised him a really nice breakfast when we get back. Btw. he is “THE RUNNER” in our household. Because yesterday my feet very so cold I put on my winter running socks to make sure that they are nice and toasty. What a mistake that was! It turns out that my running shoes are a little bit too small for having winter socks in them and now the middle toe on my left foot is hurting and changing colour. I’m going to loose my toe nail! Again! Damn! Has that ever happened to you? If not, let me tell you… it looks very unattractive to have a black (and later none) toe nail! Grrr! So… I ordered new running shoes, half a size bigger. 42,5 – crazy size!!! Day 3 – Wednesday 3.12. Jens said we will run in the Grunewald forrest. Whoopie!! 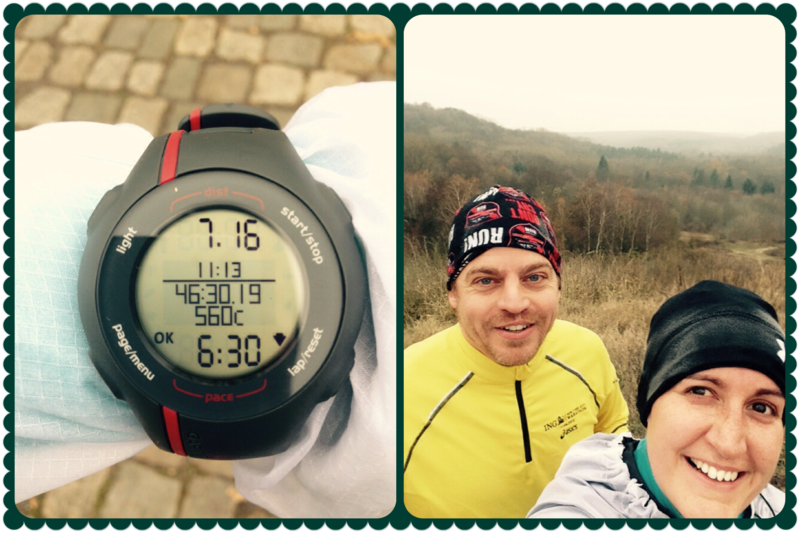 What Jens did not say is that he wants us to run up the only hill in Berlin – “The Devil’s Mountain”. Of course he told me his intention only when we were pretty much underneath the mountain so I couldn’t change my mind and, of course, he claimed that he told me his plan from the beginning and that I probably forgot?! I swear, he didn’t tell me! Aaa! Next to the Devil’s Mountain there is another “smaller” hill so, of course, we had to run up there as well, to get the view. I’m tired and this was only day 3. Hmm! Day 4 – Thursday 4.12. Today is my first day when I run on my own. And it is gorgeous outside! What a treat! 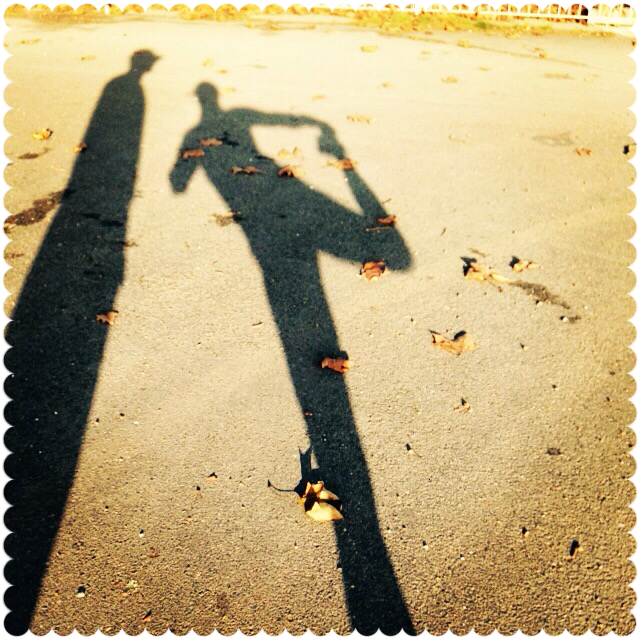 And so I ran… and I LOVED it and I now think I really CAN do this 25 runs in 25 days AdventRun challenge! Day 5 – Friday 5.12. Matthes spoke with his sister Franzi if she wants to go running with us. She said “sure” so we all ran along the water canal which is close to her flat. It was drizzling and everything was grey but at least it was above 0C. Day 6 – Saturday 6.12. It’s been a while since I ran on a treadmill. Did I actually used to enjoy it? How? It’s sooo boring! But we went for a swim afterwards and it was amazing and felt lush! I can feel that my legs are a little heavy but not too bad. And my new shoes still haven’t arrived… I really wanted to take them for a spin tomorrow. Bummer! The rest of Saturday I spend making xmas decorations and xmas presents, baking cakes, cooking and watching films – perfect day. Day 7 – Sunday 6.12. Day 7!! I can’t believe it! And it is super sunny and gorgeous! Yay! Matthes went with me and we ran on the airport, no gloves today! I LOVE running! I think I really do! When we got back we started preparing for the mulled wine party we were throwing – I mulled 12 (!) litres of red wine, we baked cookies, made little “chlebicky” (little bread appetizers) and cleaned the flat. And once this was all ready I started to feel my calves muscles and my back started to hurt! But too much mulled wine and way too much whiskey cured the pain… but how the hell will I run tomorrow? The good thing is that Ela was here with us so it won’t be only me & my hungover but we will have a company of Ela & her hungover. Seven runs in seven days done and dusted!!! Overall it’s been amazing and I feel great, no big pain, no nothing! Now “only” 18 to go! Bring it on!! And all you other people and other AdvenRunners – how’s it going??? How was your week??? P.S. Ela is really running every day – well done!!! P.P.S. Robert was running every day but I’m not too sure what happened on Friday and Sunday?! You are brave souls for enduring that weather!